Present state: Station building and platform still extant. The station is in use as visitor centre and offices. 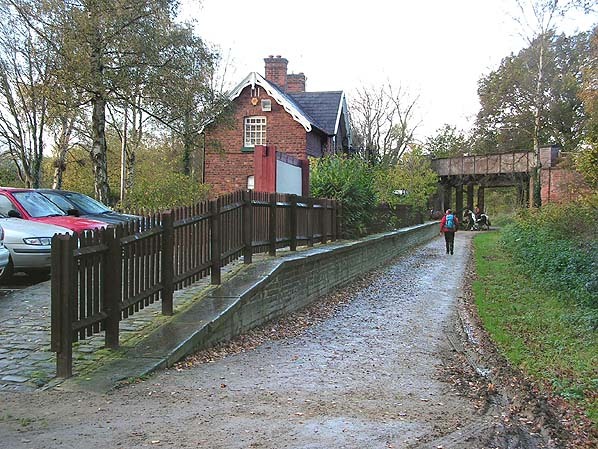 Notes: Whitegate station was located on the Cheshire Lines Committee (CLC) Winsford and Over branch. 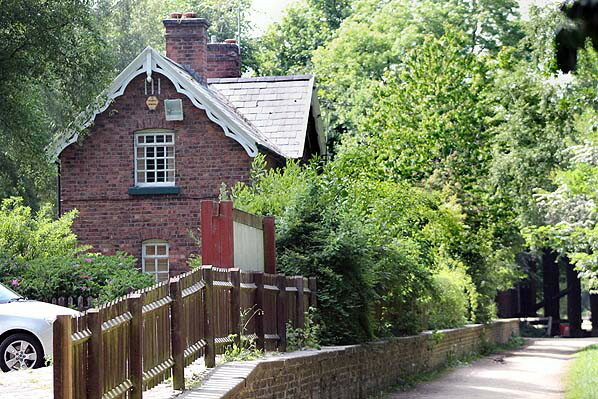 The six mile branch was authorised as part of the West Cheshire Railway (WCR) on 29 July 1862. The WCR became part of the CLC on 5 July 1865. The single track branch connected to the CLC mid-Cheshire line at Cuddington and was constructed so that the CLC could access the lucrative salt traffic at Winsford. It opened to goods services on 1 June 1870. Two stations were provided on the branch the terminus at Winsford and Over and Whitegate. Both opened on 1 July 1870.
was a goods yard with two sidings. Both the loop and access to the sidings was controlled by a ground frame located on the station platform. The yard had a small office, a weighing machine and a five ton crane. At the time of opening Whitegate would have been served by local passenger trains running between Winsford and Over and the main line. It would have also been served by pick up goods services. Passenger services were withdrawn on Thursday 1 January 1874 which demonstrated how remote it was. Goods services continued and it is likely that the station would have been well used by local farmers to export produce. The CLC re-introduced a passenger service on 1 May 1886 and then withdrew it again on 1 December 1888. On the 10 August 1891 a signal box was opened at the east end of the station on the north side of the line. The box was a CLC Type CL1a. It was an all timber box with a 24 lever frame. The level of goods traffic on the line at that time must have been significant enough to require a signal box at Whitegate. On 1 February 1892 the passenger service was once again re-introduced. The December 1895 timetable showed six trains in each direction on weekdays only running between Cuddington and Winsford and Over. The first departure from Whitegate was for Cuddington at 8.20am. The last was at 8.35pm for Winsford and Over as shown in the timetable below. By July 1922 the passenger service had increased to seven trains in each direction Monday-to-Saturday with an extra train in each way on Wednesdays. However eight years later on Thursday 1 January 1931 the passenger service was withdrawn for the final time. The signal box at Whitegate was closed on 6 July 1947 being replaced by a ground frame. It had been out of use as a block post since 1921. On 1 January 1948 Whitegate became part of British Railways London Midland Region. In the 1956 Handbook of Stations Whitegate was listed as being able to handle coal, mineral traffic and parcels. 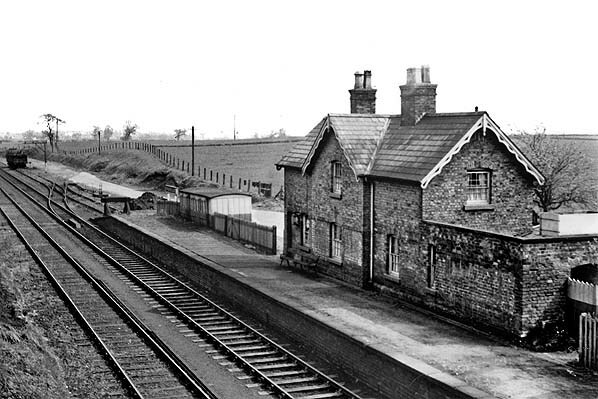 Whitegate station closed to goods services on 4 November 1963. The line continued to see goods services until 13 March 1967 and it closed officially on 11 February 1968. Today the line is the route of a popular footpath and bridleway called the Whitegate Way. 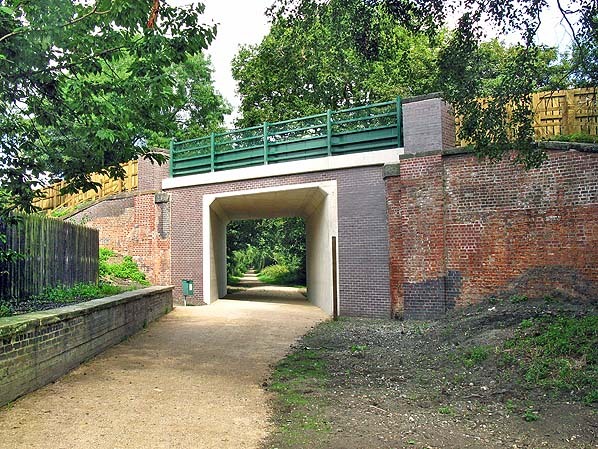 The decking of the bridge over Clay Lane was replaced in June 2014. It was in poor condition and in danger of collapse. The original abutments were retained. 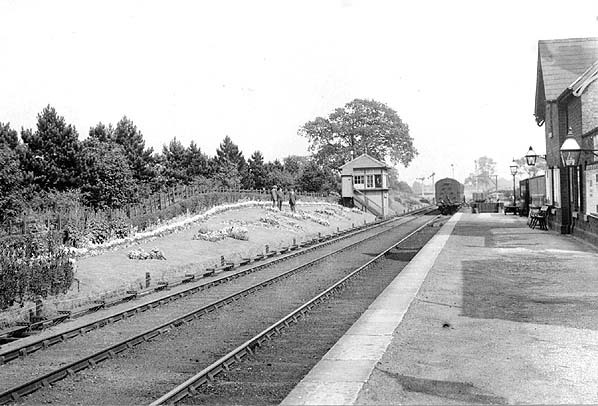 Whitegate Station looking south-east in the 1920s. A passenger train has just departed for Winsford and Over and is seen passing the signal box. Whitegate station shown on a 1898 map. Whitegate station looking south-east from Clay Lane bridge in 1952. The station had been closed to passengers for 21 years but would remain open for goods traffic for a further 11 years. The remaining single goods siding is seen at the end of the platform' the parallel siding has been lifted. The grounded coach at the rear if the platform might have been used as a shelter when the station was still open to passengers but at thois tome was probably used as a parcels shed as there were no buildings in the yard. The ground farme, which replaced the signal box in 1947 is seen in front of the buffer. Looking north-west at Whitegate station in November 2005. Whitegate station looking north-west on 10 June 2013. Whitegate station looking north-west in July 2014. The new bridge decking across the original abutments is seen. The opriginal decking was in poor condition and was in danger of collapse. It was replaced in June 2014.